Tokyo: Tokyo residents woke up Thursday to the first November snowfall in more than 50 years. 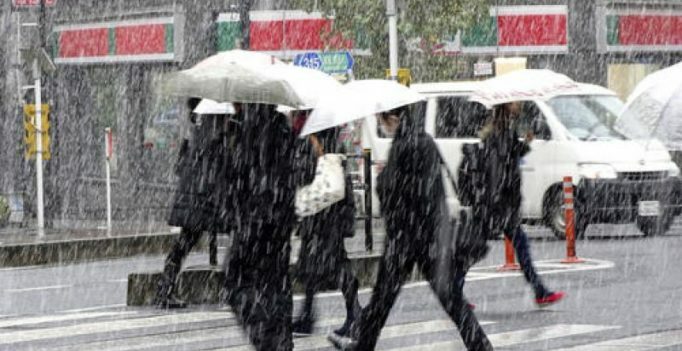 An unusually cold air mass brought wet snow to Japan’s capital. Above-freezing temperatures kept the snow from sticking in most places, though it did accumulate on sidewalks and cars in Tokyo’s far western suburbs. Meteorologists forecast up to 2 centimeters (1 inch) would fall, and more in the mountains northwest of Tokyo. The snow caused minor train delays during the morning commute. The last time it snowed in central Tokyo in November was 1962.